On 22 April 2010, I visited Princess Helena College, Preston where I was welcomed by the bursar, Dr James Bentall. During our conversation, James showed me a copy of a scrapbook about Temple Dinsley that had been assembled by pupils of the College. It included some pictures of Temple Dinsley and Preston that I had not seen before and I was intrigued as to their source. 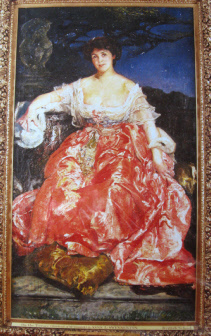 From their content, it was obvious that they dated from the time of the conversion of the mansion that had been commissioned by Herbert Fenwick. It seemed logical that a descendent of Herbert might have ordered the original photographs, so I ordered a copy of his will and, using this, was able to prepare a tree of his progeny to find a likely candidate. I e-mailed the GR contact and he replied, why I was interested? I explained,’ …I am now researching Herbert Fenwick for the web site (and have just obtained his will). I believe that his family may have documents and photographs which relate to the village.’ I received a reply inviting me to telephone him. It transpired that my contact was Benedict Fenwick, the grandson of Herbert, and that he had a ‘huge photograph album’ of Temple Dinsley. We arranged to meet in the summer and in the meantime I researched the history of the Fenwick family. I found several news stories and discovered documents that related to the 1918 divorce of Herbert and Violet Fenwick in the National Archives. I then prepared a short booklet of my findings for Benedict to show my appreciation for his kindness in allowing me to photograph his album. The following notes about the history of the Fenwicks and the Perkins (Violet Fenwick’s family) are based on this research. My ensuing conversation with Benedict answered a question about which I had often wondered: I had read, ‘Hill End was built for the wife of the client of Temple Dinsley’. I was curious - why might Mrs Fenwick (who resided in the Temple Dinsley mansion) have wanted another residence so near. Trying to trace his parents was an exercise in serendipity. Quite by chance, I found one line in a news report of 1845 that disclosed his parentage. 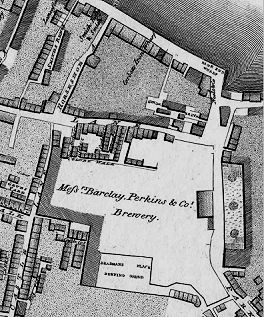 The reported stated that Charles was ‘the brother to the brewer of that name’ – important information as Perkins was a leading name in brewing during the nineteenth century. Armed with this new information, it was possible to search for Charles Perkins’ father. This company became the biggest brewery in the world. It produced 340,000 barrels of porter (or stout) in 1818. Even Charles Dickens mentioned Barclays Brewery – it was there that Mr Micawber sought a position in the hope that ‘something might turn up’. Herbert George Fenwick married Violet Edith Perkins on 14 August 1895 at Bolam Parish Church which is in Northumberland. It may be surprising to the reader that it is Violet’s ancestry that will be featured first – but there is good reason for this, as will be seen. Initially, Violet’s forefathers could be traced back to the marriage of Charles Perkins and Jane Barkley in 1816. The couple had twelve children. Charles (1784c -1851) was a wine merchant and had business interests in coal and the developing railways. He was also in the vanguard of the political movement to repeal the Corn Laws. It is obvious from this brief summary that Charles was not managing an off licence! John Perkins married Amelia Bevan but died when attending Brighton races when a horse owned by Lord Bolingbroke was irritated by an insect and lashed out, kicking John in the head. The brewer to whom the reporter alluded in 1845 was Charles’ surviving eldest son, Henry. Evidently, he and Charles Perkins were brothers, but how could this be confirmed? There is a baptism of a Charles Perkins at St Saviour’s, Southwark in May 1785 (where John married). I have checked the parish record and found that the names of his parents are illegible, but there can be little doubt that Charles was the son of John and his wife, Amelia, especially when Charles’ choice of marriage mate is taken into consideration – she was Jane Barclay. Charles and Jane’s second son was Edward Moseley Perkins (1821-1871). He was an iron master, coal mine owner and mayor of Newcastle and who, with his wife Octavia, produced five children. Still today, there is a towering statue dedicated to the memory of Edward at Birtley, Northumberland. Edward and Octavia’s son, Charles Perkins (1851-1905), furthered his father’s interests in coal and iron, becoming a director of Consett Iron Company and owning coal mines in Northumberland. He was also a keen follower of horse racing, owning horses and acting as a steward at Newcastle, Gosforth, Hexham and Morpeth race meetings. Charles married Edith Law Hunter in 1874 and the couple had two children, the elder being Violet Edith. Charles died in 1905 as a result of a car accident. Clearly, with inter-twining business and sporting interests in the same locality, the paths of the Fenwicks and the Perkins often crossed. Perhaps the most obvious example of this is that of Mark Fenwick (also a banker and the one who introduced Herbert to Sir Edwin Lutyens) who served as a director on the board of Consett Steel with Charles Perkins, becoming its managing director in 1903. 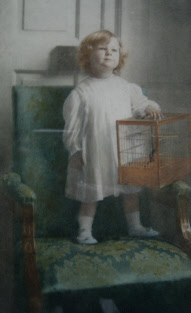 Herbert George Fenwick was born at the Bristol Hotel, Edinburgh in 1870. After his marriage to Violet, in 1901, the couple with four-year-old son, Charles, were living at Birtley near Newcastle. Herbert was described as a ‘land agent and colliery manager’. The Fenwicks were an established family of bankers in Northumberland during the nineteenth century. Herbert’s grandfather, George (1811-1882, shown right) was a senior partner in Lambton’s Bank and also had interests in hunting and was a director of the North Eastern railway. George’s son, George Anthony Fenwick (1840 - 1912) continued the family’s banking interests. He died on ‘the hunting field’. When his will was proved in 1905, Charles Perkins’ net estate was almost £480,000. After providing for his wife and settling various legacies bequests, Charles left the residue of his estate to his two daughters, Violet Edith and Nancy. The couple had four children, the last three of whom were born at Temple Dinsley. 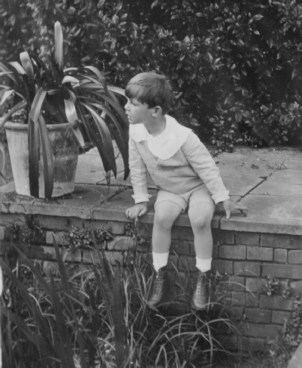 Sadly, the eldest, Charles drowned during a fishing expedition to Norway in 1912/13. Like many of the ladies of Temple Dinsley, Violet Perkins took an interest in Preston School which was on her doorstep. The school log-book contains these comments: ‘Mrs Fenwick supplies the infants every day with milk. This is much appreciated by the children’ (Jan 28, 1909). ‘Mrs Fenwick has given £1 to be used at the discretion of the Head Mistress’. (4 February 1909) ‘Mrs Fenwick during her visit offered two prizes for needlework to be given at Midsummer’ (2 May 1914). From around 1913, the relationship between Herbert and Violet became strained (which may be the reason Violet ordered the building of ‘Hill End’). This culminated in a divorce in October 1917. 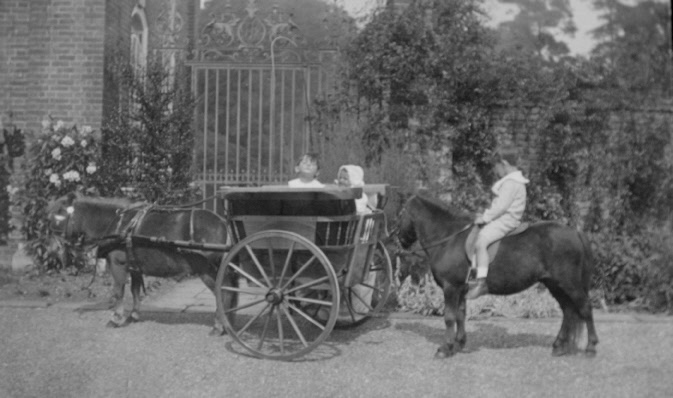 During this time, Violet continued to live at Temple Dinsley. The mansion was then sold in 1918. 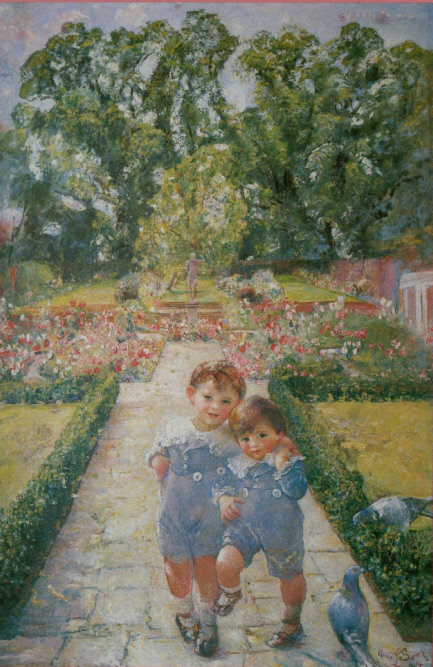 David (left) and Jonathan in the garden of Temple Dinsley. 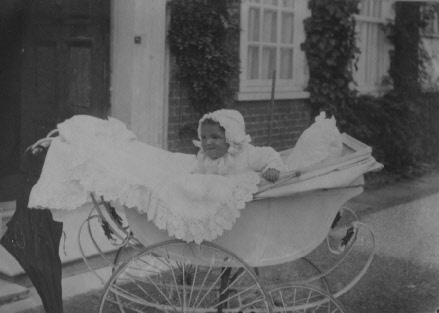 Documents revealed by new catalogue entries at Hertfordshire Archives and Local Studies and a recent meeting with Benedict Fenwick have shone more light on his grandmother, Violet Fenwick’s, key role in the evolution of the building stock of Preston in the early part of the twentieth century. As already noted, in 1908, Herbert Fenwick purchased the Temple Dinsley Estate from James Barrington-White. ‘Purchased’, is perhaps not the correct word as on 10 August 1908, Herbert signed a mortgage agreement with James when he borrowed £20,000 at 4% interest. The security was Temple Dinsley, Temple Farm, The Cottage and the Temple land. The loan was to be repaid on 10 February 1909. Various cottages around Preston were also purchased hy Herbert from the Pryor brothers. And in September 1910, Herbert also bought land at Hill End, near Preston. By the hand of Lutyens, Temple Dinsley was remodelled and several new cottages were built as well as the Hill End mansion. 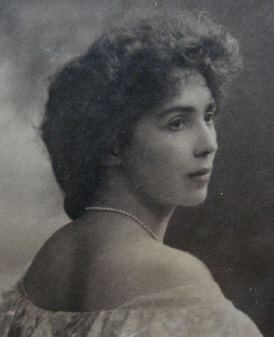 The latter was ordered by Violet Fenwick for a dear friend, Gwendolen Dorothy Fellows (nee Jefferson). She had recently divorced her husband, Coulson Churchill Fellows who later died in 1915 from an illness contracted on active service. 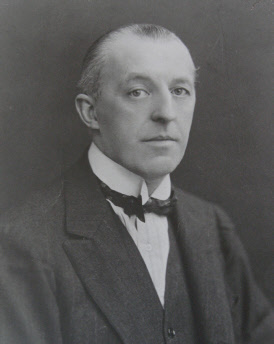 Then, on 15 January 1913, Herbert borrowed a further £6,200 at 3.75% from Sir Joseph Frederick Laycock and William Edmund Paget. 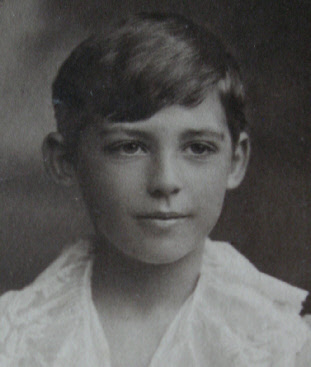 Sir Joseph haled from the same area as Violet and was a childhood friend. He was also a trustee of her son. William’s wife, Barbara Paget’s father was William Slingby Hunter. He was a brother of Violet’s mother. So the loan was provided by two rich men from Violet’s circle of friends. The loan was to be repaid in instalments: £2,100 due on 30 January 1912 and the remainder in the following July and January. These repayments were not met. In July 1914, Herbert borrowed a further loan of £2,100 from Laycock and Paget, making a total debt to the pair of £8,300. This financed the rebuilding work at Preston. On 30 June 1916, the full debt was transferred from Herbert to Violet. That same day, all of Herbert’s holdings at Preston were conveyed from Herbert to Violet. The deed notes, ‘...the hereditaments were purchased by the husband at the request of the wife’ out of monies standing in their joint bank account and HGF’s account..’The greater part of which monies arose from the seperate income of the wife’ and ‘the husband admits that the purchase monies...were satisfied wholly out of monies belonging to the wife’.